Croatia isn’t usually known for its stunning nightlife, but it definitely should be. 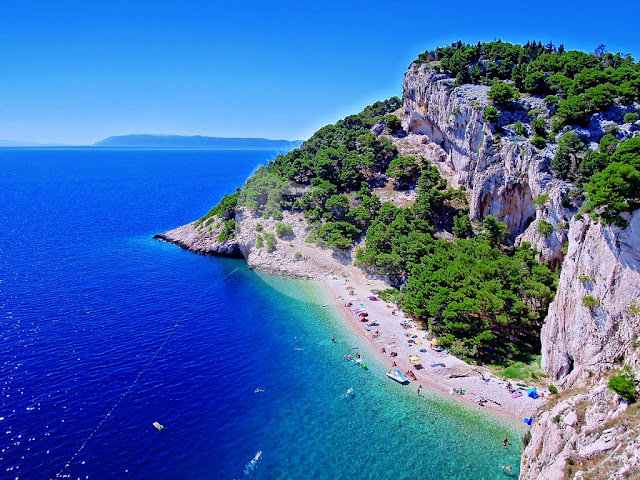 The bigger tourist cities of Zagreb, Opatija, Umag, Porec, Rovinij, Pula, and Dubrovnik are laced with high-rated hotels, most of which have flashy, bright casinos and entertaining nightclubs. The large cities in Croatia are also fortified with disco clubs for those who love to dance. The summertime is when Croatia really shines. The chief tourist centres feature parties in the open where you can dance under a clear, bright night sky, gazing at the stars while moving to the beat of the dance. Included in the summertime outdoor nightlife activities are fishermen’s parties, which are very popular and folk dance shows, “klapa,” which are concerts by synchronized harmonic groups. Summertime is the peak of the nightlife in Croatia. The warmer temperatures allow for the night to continue until the break of daylight. Be prepared when visiting Croatia’s wonderful centres in the summertime to dance until dawn, immersing yourself in the rich nightlife offered by the disco clubs, outdoor festivals, and bars. Open-air bars are a wonderful feature that must be explored while visiting Croatia. The bar is open and everyone is invited to participate. Have a drink or two and dance to the beat of the music that floats through the air while looking up at an endless expanse of night sky. Croatians are very friendly to tourists; you are guaranteed to have a wonderful time while out on the town. Come wintertime in Croatia, the night life quiets significantly—as the cold sets in, the open-air bars fold up their awnings and close for the cold winter months. There are also a wide variety of local festivals to take part in to delve into the rich culture, history, and folklore of Croatia. There are many organized events featuring the wonderful culture of the area and sporting events are also prolific throughout the area. For a taste of the local area, you can also visit the taverns that are interlaced throughout each of the cities and towns. These more subdued areas offer a taste of the real Croatia—featuring great food. Wine lovers will fancy these local taverns as well, getting a taste for the rich flavor that is local Croatia. Local musicians are featured in the taverns, proffering the unique musical notation of Croatian artists. Croatia is best visited in the summer months; however, there is always something to see and do in the wonderful, year-round nightlife that expands throughout the country.